If you meet someone new, and you aren’t nice to them, they will probably think you are? Kind Mean. 1 If you meet someone new, and you aren’t nice to them, they will probably think you are? 2 If you make fun of people just to get a laugh do you think people would want to be your friend? 3 Alcohol can be very dangerous? 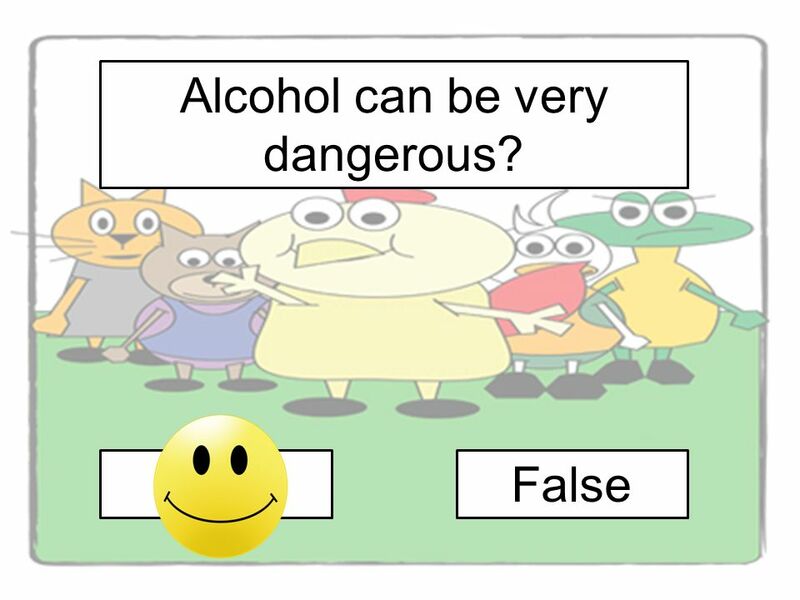 4 You should never try alcohol unless Mom or Dad says it’s ok to have a sip? 5 Bullies are ok. If we see one we shouldn’t tell an adult and we should just let them get on with it? Download ppt "If you meet someone new, and you aren’t nice to them, they will probably think you are? Kind Mean." If you meet someone new, and you arent nice to them, they will probably think you are? KindMean. By: Myah I want to stop bullying. Hero saw that Ollie was being teased but he did nothing about it. What do you think that Hero could have done? “Done with Bullying”. Session 2: What to Do When You See Others Being Bullied. Cyber Bullying Get The Facts! Next. BULLYING IN SCHOOLS: WHAT YOUNG PEOPLE NEEDS TO KNOW Dealing with Bullying in Schools © SAGE, 2004. Your just in time… enjoy the show! The Plumsted TownshipPolice & Plumsted Township School District presents… STRANGER DANGER. 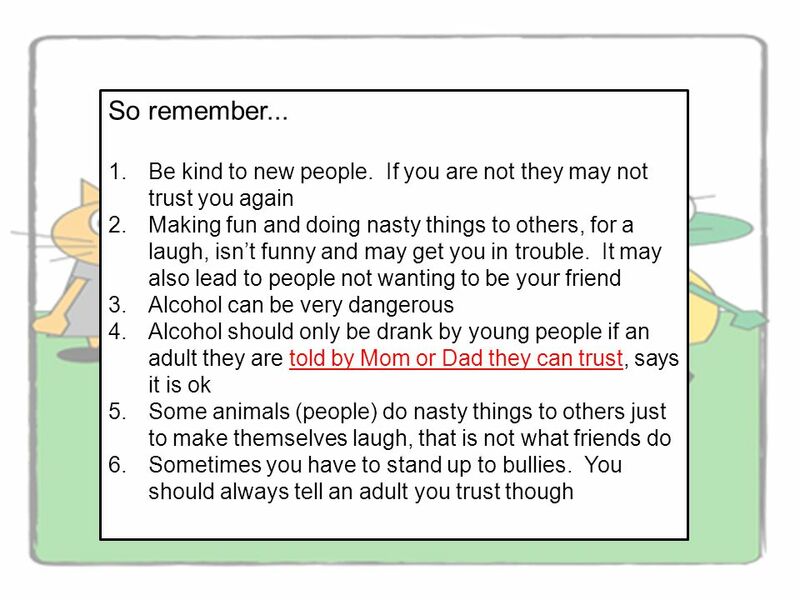 Handling Bullying Please visit for information on how to best use this PowerPoint template Please customize. What do other people think dignity means ….?. Being with my family and feeling useful rather than a nuisance Ensuring we have the privacy you would want. Created by Mr. Hemmert.  Have you ever received a mean email or instant message? Have you ever sent one? This is called cyberbullying. A cyberbully uses.